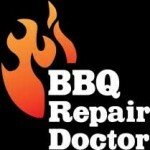 We are a company specializing in BBQ repair in Oxnard. We do BBQ repair, BBQ cleaning as well as BBQ restoration. Our team of experienced technicians can fix any brand or model of BBQ. 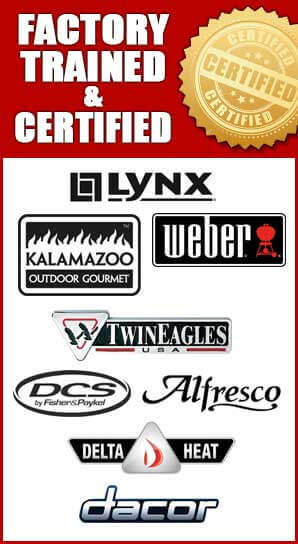 They are work on all the major brands such as Alfresco, Capital, DCS, Fire Magic, Kalamazoo, Lynx, TEC Sterling, Thermador, Twin Eagles, Viking, Weber, and Wolf. Our technicians are factory trained and certified. We provide outstanding service at very reasonable prices! No project is too big or too small for our team. If you have a custom, high-end or European barbecue, we are the people who can help you. Besides being top experts in BBQ repair in Oxnard, we also perform the repairs and cleaning of your entire outdoor kitchen. That includes cooktop, pizza oven, sink, refrigerator, wine cooler, dDishwasher, beer tap, smokers, hibachi grills, warming drawers and patio heaters. 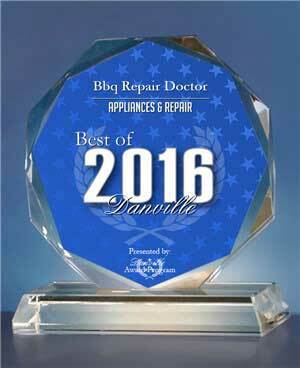 We do it all, and we can help you with your appliances. No matter what the problem is, we will figure out the simplest and most cost effective way to solve it. You will love how your BBQ grill will look and function after a service appointment with us. Customer satisfaction guaranteed! For BBQ repair in Oxnard give us a call at 818-392-8666. We will provide you with a accurate estimate of how much the repairs would cost. Our prices are very affordable. It’s almost always possible to salvage your old BBQ grill and make it function like new. It is much cheaper than buying a new grill. Once, this is settled we will make a convenient service appointment for you. Our knowledgeable repair technician will go to your location. He will arrive on time with all the tools and parts necessary to fix your appliance. We bring most of the appliance parts with us. Why pick us to do your BBQ repair in Oxnard? 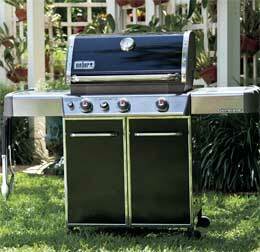 We are simply the most knowledgeable and experienced in BBQ repair in Oxnard. Our technicians are factory trained and certified. 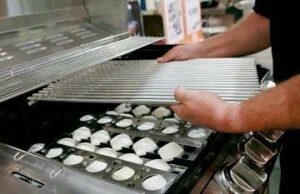 They know the latest technology that goes into BBQ grills and other outdoor kitchen equipment. You can trust them with the most complicated projects. For BBQ repair in Oxnard call us at 818-392-8666 or fill out our short online form. We would love to help you and answer all of your questions. We also do BBQ cleaning in Oxnard.